Introduced in 1972 as an alternative to the expensive and complex T-64, the T-72 has a crew of 3 and weighs 45 tons. 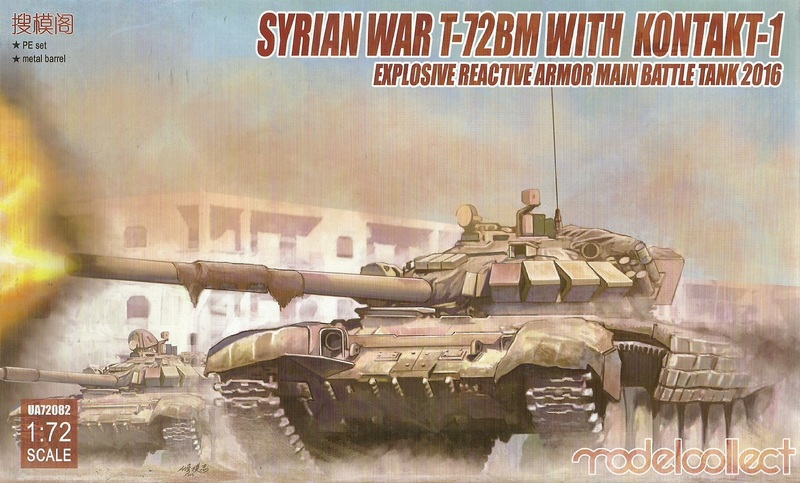 The T-72BM, introduced in 1985, was an improved version of the T-72A. Difference include the improved fire control, thicker armour, improved gun and a new engine. In addition the hull and turret were fitted with 227 "Kontakt-1" ERA bricks. Includes decals, metal gun barrel and metal lower hull.